The Russian currency started to bounce back in Tuesday trading, as oil prices edged closer to $80 per barrel, an important benchmark that was crossed last week. 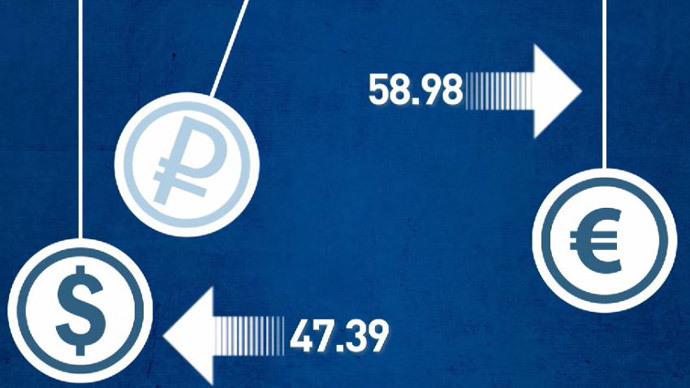 The US dollar lost 28 kopecks to 46.82 rubles at 10:55 Moscow time (07:55 GMT) going below 47 rubles for the first time since last week. The Central Bank of Russia also cut its official rate for the American currency for Wednesday, dropping it by 35.32 kopecks to 46.98. The price of oil is also recovering, with Brent December futures climbing above $79 per barrel heading to an $80 per barrel threshold. 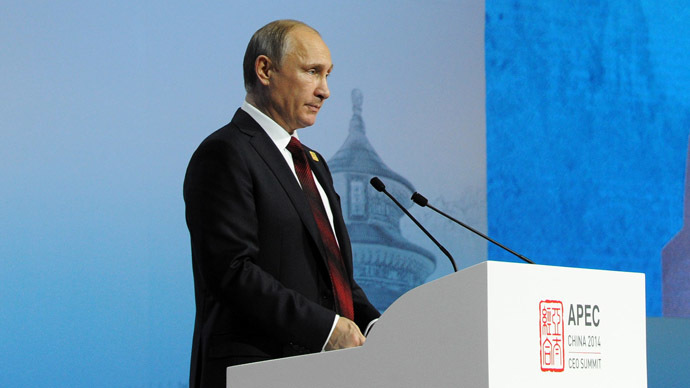 Market players have a positive view on oil, Vasily Karpunin, BCS brokerage analyst said. "After the expiration of December contracts, a traditional rebound has started. High chances remain for a full-fledged [upward] correction. The next growth target is in the range of $85.5-86.5 per barrel for Brent crude," he said. 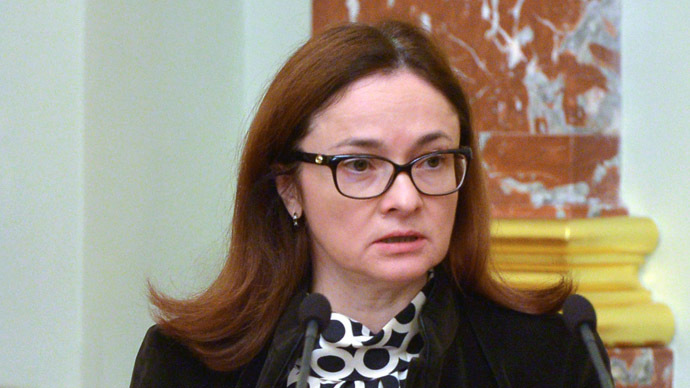 On Tuesday the head of the Central Bank of Russia Elvira Nabiullina confirmed the regulator was ready to intervene unexpectedly and on a large-scale, in case risks to financial stability arise. "The Central Bank does not waive its right to intervene any moment in order to maintain financial stability. We warned the players we are ready to make unexpected interventions in case of negative developments," Nabiullina told the State Duma. The Russian currency was demonstrating attempts to strengthen already on Monday, as TASS quotes Alexei Yegorov, leading analyst of Russia’s Promsvyazbank. 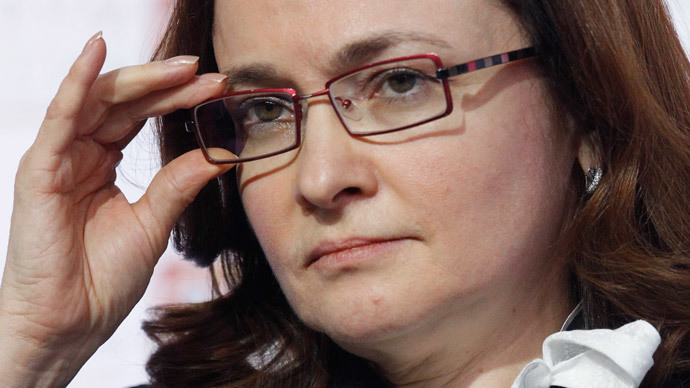 He says the ruble's upward correction is caused by exporters selling currency on the eve of a new tax period. 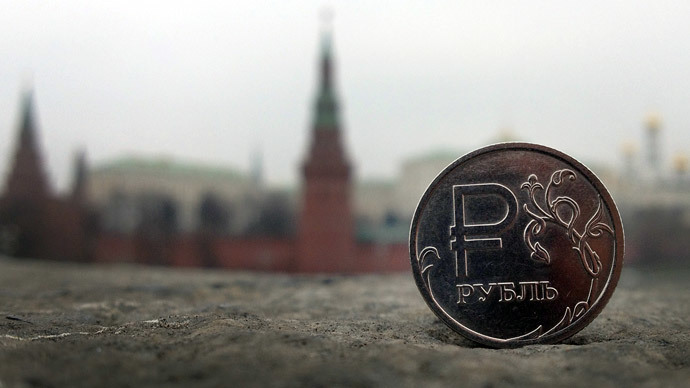 Experts suggest that the new financial tool started by the Central Bank of Russia (CBR), known as currency repos (repurchase agreements), have also helped stabilize the market. On Monday the CBR began auctions in 1-year repos worth $10 billion. This followed $50 billion short–term repos that Russia’s regulator started selling in late October.